With Star Trek: Discovery almost here, we continue our #BackTrek countdown through the best bits of the sci-fi series to date. 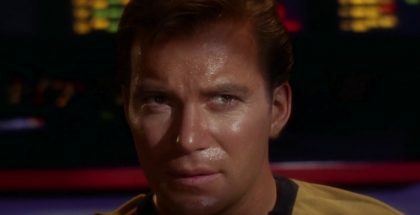 Just as no one’s favourite Beatle is Ringo, so Enterprise comes far down the list of all the great series and movies that are officially part of the Star Trek canon. Its premise is intriguing – a chance to see how our reality evolved into the one we first experienced through Kirk and, later Picard. But the result is immensely flawed. Although set a century before Kirk, and several decades after the events depicted in First Contact, it spends too much time in deep space, or the far future, and so often feels like nothing more than a pale imitation of the other series. It’s a cautionary tale for sci-fi fans who feel they’ve been forgotten, as Enterprise specialises in fan-service – it’s occasionally pleasing but, more often than not, renders the show self-indulgent and inaccessible. Enterprise is not without its redeeming qualities, however, not least the first-rate cast, led by Quantum Leap’s Scott Bakula as the stolid Captain Archer. Also a plus-point is Jolene Blalock as T’Pol, managing to overcome accusations that her casting was merely to please hairy-handed fanboys, who turns in a nuanced portrayal of a Vulcan to rival that of even Leonard Nimoy himself. 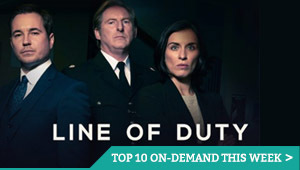 10 gem-like episodes can found among the dross. Warning: they all still feature the same awful theme music. A prequel to the events of the movie First Contact, Regenerations pits Archer and his crew against the deadly Borg. Having been pulled from the Arctic ice, these cybernetic killers try to begin the assimilation of humanity. They’re thwarted of course, but not before they fire off a radio message to their home world in the Delta Quadrant – a signal that won’t be received until the 24th Century when a certain Captain Picard is helming the Enterprise. ARCHER: They told their homeworld how to find Earth. T’POL: Did you learn where the message was sent? ARCHER: Somewhere deep in the Delta Quadrant. T’POL: Then I doubt there’s any immediate danger. It would take at least two hundred years for a subspace message to reach the Delta Quadrant, assuming it’s received at all. ARCHER: Sounds to me like we’ve only postponed the invasion until what, the twenty fourth century? In a plot that wouldn’t look out of place in the original series, Trip’s telepathic one-night stand results in him getting pregnant. Played mostly for laughs, it’s nevertheless a solid standalone episode. PHLOX: The blastocyst is located between the sixth and seventh intercostals. TUCKER: What the hell are you talking about? PHLOX: I’m not quite sure if congratulations are in order, Commander, but you’re pregnant. A prequel within a prequel, in which we flashback to see the development of the ground-breaking Warp 5 drive, and learn how – and why – Archer became captain of the Enterprise. Enterprise’s pilot episode is tantalisingly – and frustratingly – good, successfully introducing us to the 22nd Century and the tensions of the time. And Earths first dealings with the Klingons. If only the show had followed through, but it’s not until the excellent Season 4 – by which time the series had been axed – that Enterprise starts to truly live up to the promise of its pilot. HOSHI: What do you know about these Klingons? ARCHER: Not much. An empire of warriors with eighty poly-guttural dialects constructed on an adaptive syntax. ARCHER: Think about it. You’d be the first human to talk to these people. Do you really want someone else to do it? Exploring the evolution of one of Trek’s most important ideas – the Prime Directive – Archer and crew grapple without guidance the pros and cons of intervention. If they help an alien race cure a genetic disease, would they be altering the natural order too much? But inaction would result in one species oppressing – and probably wiping out – another. A great example of Enterprise continuing in Trek’s tradition of tackling complex moral dilemmas. ARCHER: Someday my people are going to come up with some sort of a doctrine, something that tells us what we can and can’t do out here, should and shouldn’t do. But until somebody tells me that they’ve drafted that directive I’m going to have to remind myself every day that we didn’t come out here to play God. More moral dilemmas, this time of Phlox’s making as the Denobulan doctor clones Trip in order to provide him with replacement organs following a life-threatening accident. But, exploring the same territory as Kazuo Ishiguro ’s acclaimed 2005 novel Never Let Me Go – only two years earlier – Similitude sees the clone, who grows rapidly to adulthood, attain sentience and demand his human rights. A genuinely moving and thought-provoking episode. ARCHER: I must complete this mission, and to do that I need Trip. Trip! I’ll take whatever step’s necessary to save him. SIM: Even if it means killing me. ARCHER: Even if it means killing you. SIM: You’re not a murderer. ARCHER: Don’t make me one. 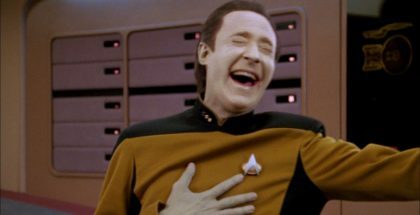 Another prequel within a prequel, this time rewriting Star Trek canon. T’Pol reveals that humanity’s first contact with extra-terrestrials did not occur in the 2060s as the history books (and the film First Contact) would have us believe. Then, in flashback, we’re taken back to 1950s America where T’Pol’s grandmother, T’Mir (also played by Jolene Blalock) is part of a crew of Vulcans forced to live in a small Pennsylvanian town after their spacecraft crash-lands. T’Mir’s encounters with suburban domesticity is funny, while her growing appreciation for the human race makes the episode, like the best of Trek, subtly touching and cerebral. TUCKER: Do you realise you’ve just rewritten our history books? T’POL: A footnote, at best. TUCKER: Footnote? This is like finding out Neil Armstrong wasn’t the first man to walk on the moon. ARCHER: It’s in their nature. They were engineered to be this way. Superior ability breeds superior ambition. One of their creators wrote that. He was murdered by an Augment. A cracking Trek adventure revolving around an ancient Vulcan sanctuary, it exposes the Vulcans as more manipulative than their goody-two-shoes rep would have us believe. We also meet for the first time Thy’lek Shran, a recurring character throughout Enterprise. A member of the Andorian race, blue-skinned beings with teeny-boppers on their heads, it’s to the credit of actor Jeffrey Combs that he imbues this, frankly, ridiculous-looking villain with a compellingly charismatic menace. SHRAN: We scanned your ship in orbit. You’re very well armed for people who came for a visit. You and the pink skins have proven what we already knew. This is far more than a sanctuary. ARCHER: Up until about a hundred years ago, there was one question that burned in every human, that made us study the stars and dream of traveling to them: ‘Are we alone?’ Our generation is privileged to know the answer to that question. We are all explorers, driven to know what’s over the horizon, what’s beyond our own shores. And yet, the more I’ve experienced, the more I’ve learned that no matter how far we travel, or how fast we get there, the most profound discoveries are not necessarily beyond that next star. They’re within us, woven into the threads that bind us, all of us, to each other. The final frontier begins in this hall. Let’s explore it together. 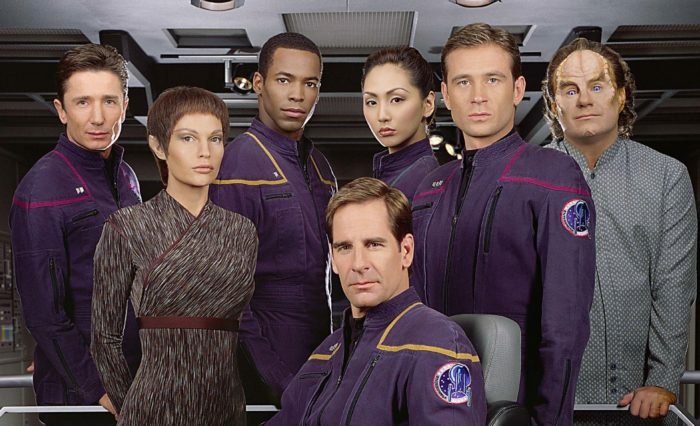 Star Trek: Enterprise is available on Netflix UK, as part of a £7.99 monthly subscription.